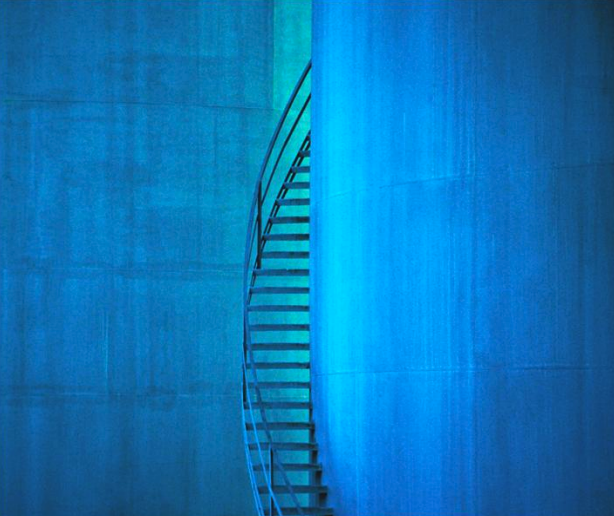 The I.VW-HSG has a long tradition of creating added value for the insurance industry within the framework of knowledge-oriented joint projects. We have also designed the Future.Value project in this tradition. Future.Value fulfils the important functions of "trend monitoring", "management dialogue" and "knowledge and talent management" for the project partners. More than 40 partner companies use this platform. Follow me! Die Assekuranz als Vorreiter? Future.Value aims to provide the German-speaking insurance industry with a platform that promotes the exchange of market and industry knowledge between practice and research. Systematic trend monitoring enables developments to be identified at an early stage. Furthermore, dialogue within the insurance industry and an active knowledge and relationship network are to be fostered. 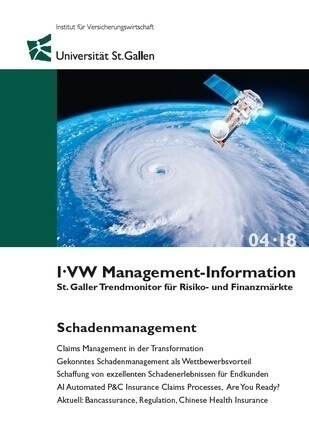 The I.VW Management-Information – St.Gallen Trend Monitor for Risk and Financial Markets – is published four times a year. 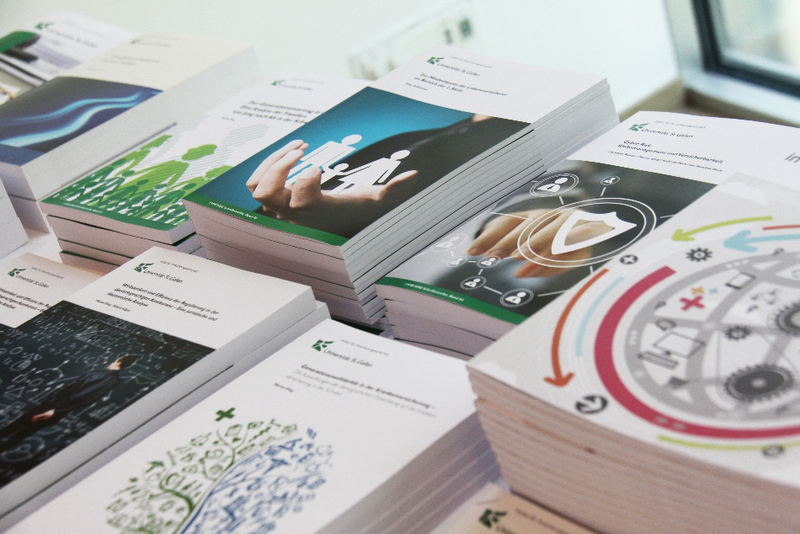 In the articles, practical experts and academics present the latest findings on topics from the financial services sector. In addition, specialist conferences, studies and research results are selected and summarised for you. AI Automated P&C Insurance Claims Processes, Are You Ready? 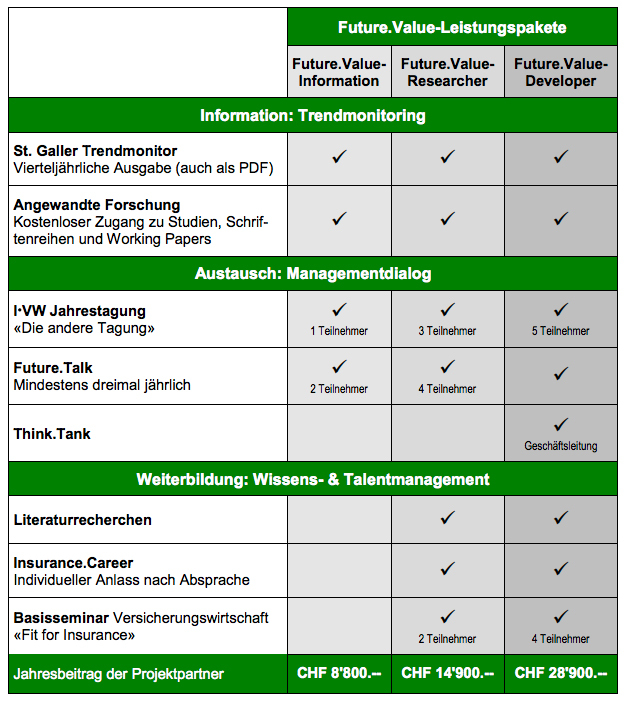 As part of Insurance.Career, the Future.Value-Team of the Institute of Insurance Economics (I.VW-HSG) coordinates company-specific events at which partner companies can present themselves to students of the University of St.Gallen. 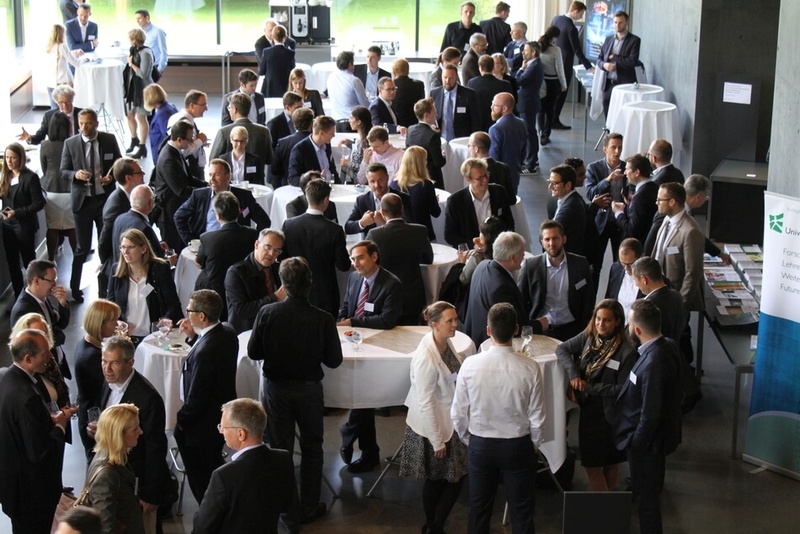 I-VW-HSG Future.Value offers special access to the latest trends in financial services and management competence at the University of St.Gallen.